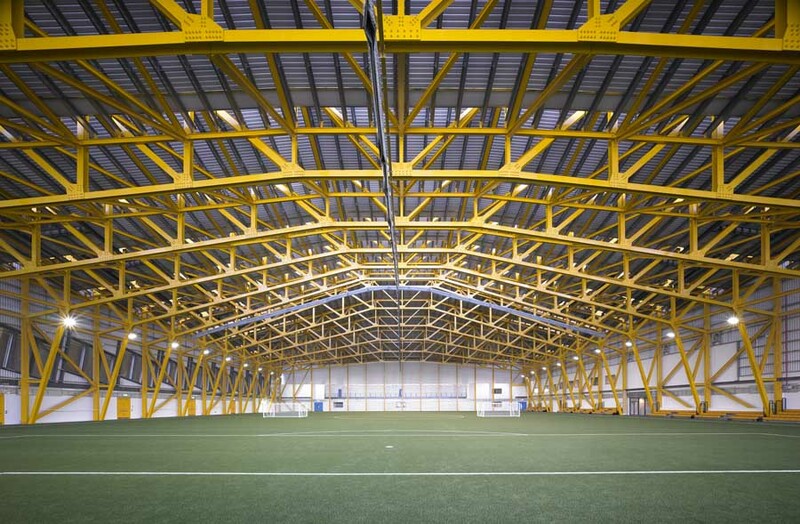 One of the main facilities being utilised for the “Games” was Ravenscraig Regional Sports Facility (RRSF). During the “Games” the full size 3G sports pitch was transformed with EFS’s specifically manufactured translucent Temp-A-Path and EFS’s royal blue marquee-cord event carpet. The venue was then all set to host the opening ceremony and the celebration event bringing the games to a close. The Temp-A-Path was installed in just 7 hours with the carpet being laid in just 8! “We did our research, tested some products and Temp-A-Path was the best things for us” said Jim Moffatt, NL Leisure’s Business Partnership Manager. “We looked at hiring it, but decided to purchase it and we now have the ability to hire it out to other event organisers in Scotland. The decision to purchase Temp-A-Path has opened up a new market for NL leisure. The purchase of the flooring now allows us to offer both RRSF and its 8000 seated football stadium as new event destinations, transforming traditional sports venues into flexible spaces” he concluded. The flooring is available for re-hire for many events that are held not only in the central area, but also throughout Scotland. NL Leisure and EFS are working in partnership to offer the flooring to event organisers, local authorities or anyone else who needs it installed by EFS’s dedicated team! EFS’s translucent Temp-A-Path has been specifically designed to protect the ground for long periods of time without causing any yellowing or other surface damage to the turf. 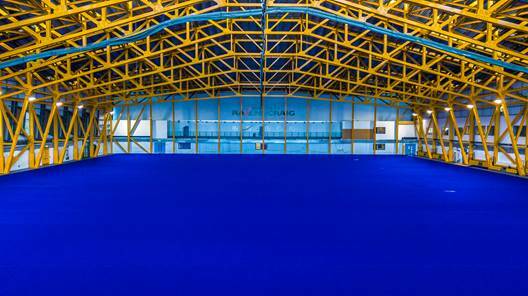 NL Leisure opted for the translucent flooring product to ensure protection of any natural grass areas. Translucent Temp-A-Path is able to do this because of its special design which allows light, water and air to access the grounds underneath it. EFS’s trials show that no adverse damage is caused to the grass for a minimum of 30 days. Following the “Games” EFS staff prepared and removed the flooring, including the carpet, in just 8 hours. The carpet was taken away and recycled and Temp-A-Path stored at a custom built facility constructed on the grounds of RRSF.